Litho-Lube | Pro Chem, Inc.
LITHO-LUBE is a lithium complex based grease formulated with the most up-to-date additive system. 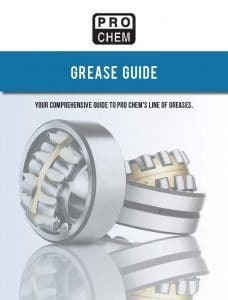 It resists thinning or hardening in service, which minimizes leakage and prolongs the service life of the grease by reducing the grease consumption and extending relubrication cycles. 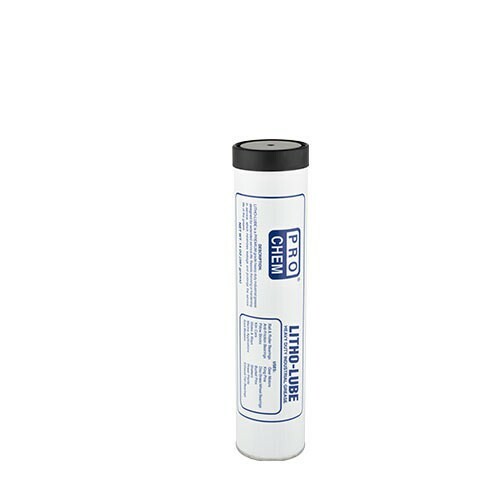 LITHO-LUBE gives longer bearing life and reduces the need to stock several greases, thus preventing misapplication. Colored royal blue. It will provide a Timken OK Load of 60 pounds for extreme pressure applications. Oxidation and corrosion additives minimize chemical deterioration over extended periods of service, and protect steel and copper alloy bearings against rust and corrosion. This product is appropriate for use as a lubricant with no food contact in official establishments operating under the Federal meat, poultry, shell egg grading, and egg products inspection programs. This compound may be used on equipment where there is no possible contact between edible products and lubricants or lubricated parts. Pump in grease until all old grease comes out.